UPDATE AVAILABLE IN LAST POST!! Used minimum sdk is api 16 so only for android 4.1+. 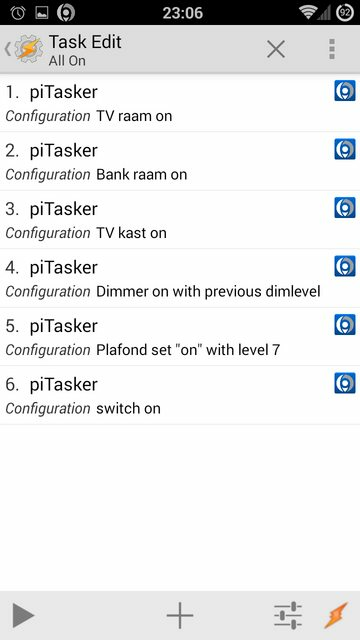 Tasker action support: Control you devices through Tasker actions! Englisch, German and Dutch localized. Default behaviour is a running service connected to the deamon at all time. Stopped when leaving your home network, started again when coming home. 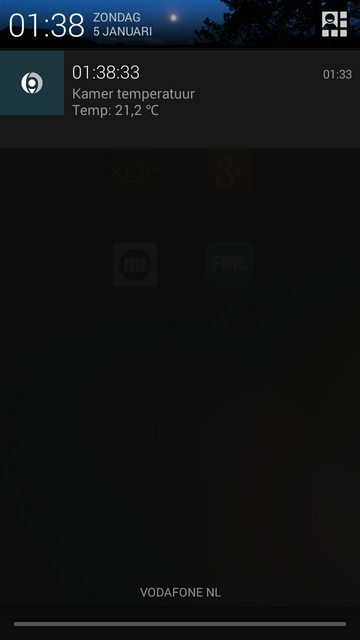 You'll have a notification showing the last update of the config. This behaviour can be disabled in the settings but I recommend to keep it on. It hardly takes any battery (try BetterBatteryStats to show this). 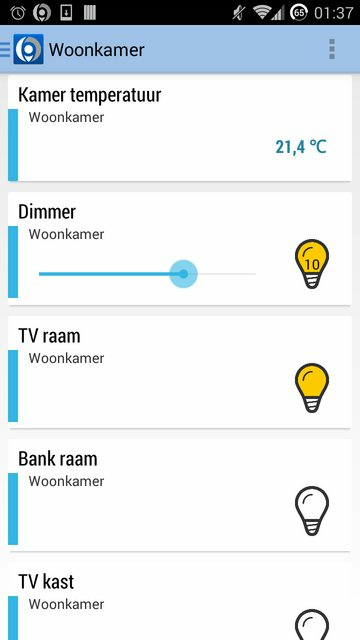 Hopefully, if pilight supports doorbels, this can be turned into a notification with sound Bit geeky but hey, isn't this pilight?! Meloen, thanks for the screenshots! IcedEarth, thanks for the German translations! Just installed the alpha version on my android 4.1.1 phone. Too bad, I am very interested in your App. Will try to install on my 7" tablet later.. When i manage to create screenshots I'll send them to you. First, thanks for your interest and response. Then, are you sure your version of pilight has ssdp support? And did you try to restart the pilight-daemon? If both answers are a yes, I'll try to make a new version with full debugging enabled. I can't promise it because I'm still abroad without a reliable internet connection and I'm very occupied by my job atm. Don't know if i restarted the deamon, perhaps i should try again. Will get the 7" now and try and make screendumps if i can connect. Just tried again. No connection, also not after restart. Nice looking app! Connected automatically to my pilight development build. I also like the app icon. Attached some screenshots made on a 7" 1024*600 tablet. @curlymo, can you tell us if the apt-get repo has ssdp support? 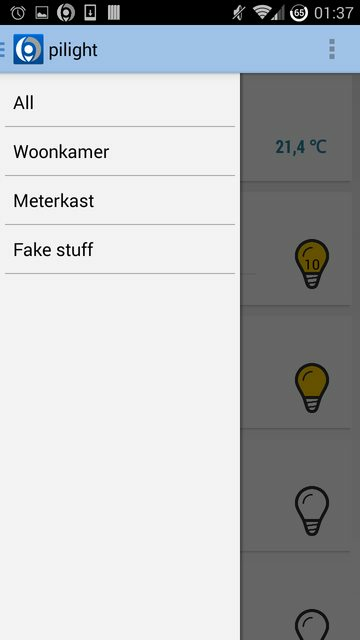 @Fred, you can check your android version under "instellingen-over de tablet", it really should be 4.1 or higher. @meloen, thanks for the screenshots. Would you mind making some in portrait as well? And can I use them for the play store? Check the github commits or the wiki page.